Four wins and 14 losses wasn’t the year Sandgate had hoped for heading into 2016; there were a few less than desirable moments, but there were also a few positives to take along the way. If you compare them to 2015, they have definitely improved. To the extent they wanted to? No, but improvement is improvement, and gives them a base to continue that into next year. You can’t look past their round 18 win over Morningside, their first over the Panthers in three decades. No one gave them a hope in hell, not with Morningside playing for a finals spot, but they didn’t listen to the outside noise and finished their season on a high. A win like that does wonders for motivation levels during the off-season. They will also look back fondly on their win over Wilston Grange at home in their annual ANZAC Day Eve game, and a 75-point win over UQ in round 17. Only one win in the first half of the year wasn’t ideal, and ended their finals dreams a lot sooner than they would have hoped. They also suffered big losses at the hands of finalists Mt Gravatt, Palm Beach Currumbin and Labrador in the run home. As mentioned before, it was another year of improvement. They definitely didn’t go backwards, which in itself is a positive. They had some impressive wins along the way, which should prove to the group that when they are on the same page and playing the brand of footy they want to, they are more than capable of beating anyone. If they take the momentum they built in the final few weeks of the season into the pre-season and beyond, they will set themselves up to contend for finals in 2017. Tom Overington had another blinder. One thing you can’t knock is how much he finds the footy. He can improve his efficiency, but you’d rather him be finding the footy regularly than not. The Rutledge brothers, Aden and Liam, had good years, Aaron Fabian showed patches of brilliance, and Ben Beaven was solid. As much as it will hurt them, I don’t think they will see much of Connor Stackelberg next year. 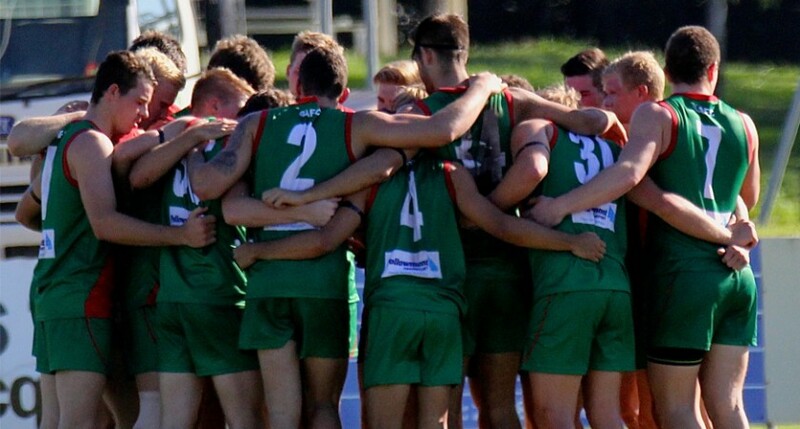 The QAFL Rising Star runner up was sensational when he pulled on the red and green this year. He hit up at the footy well, and was deadly in front of the sticks. Younger brother Cody, who is only 16, also looks to be a lock in that team from next year. Their strength this year was their midfield. While they could do with another medium sized player who is a good user going forward, their initial focus should be on their bookends. When guys like Nick Jackson and Brendan Forbes played, it straightened them up in a big way, and they were much more direct with the footy. So they need talls, at least one at each end, and with ruckman Jackson Grey VFL bound, they will need someone to fill that void.